Airport flip board with name of cities in china and india. 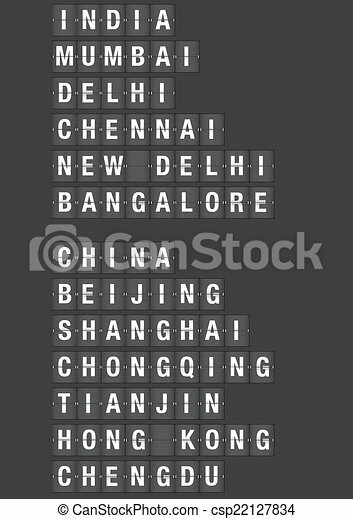 Name of chinese and indian cities on airport flip board style. vector illustration.